I find that the best way to present a digital photography tutorial is by making a video about it. That’s exactly what some of the best photography tutors in the world have started to do. Whatever subject you are interested in learning, a video tutorial helps you learn about it much faster. One of the main advantages video tutorials have is that they hold the viewer’s attention. Whilst being efficient and effective in improving viewers’ retention of information, they also appeal to a wider variety of people as not everyone enjoys reading textbooks. A further benefit of video is illustrating skills and techniques, which may otherwise be hard to understand making it an invaluable learning tool for digital photography. Some great digital photography tutorial videos are listed below, each covering a different topic relating to photography. I would like to thank Mark Wallace from Snapfactory for producing such high quality learning material. Also before we go any further, some people might have the question, "What is digital photography?" 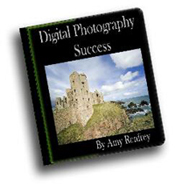 This is a video introduction to the basics of digital flash photography. Topics such as Key Shifting, how camera shutters work and Sync speed are all covered in detail by a professional photographer. A Light Meter is essential if you are working in a studio environment with a lighting setup. It measures all light falling on a subject and not just the ambient light which a camera meter measures. Digital photography lighting can make a profound difference to the overall quality of your pictures. Using light correctly can produce amazing highly professional results. Photography lighting kit comes in many different shapes and sizes. Through these video tutorials you will find out all about lighting kits and the best setup for you to buy. A typical three light setup consists of a Key light, a Fill light and a Separation or Back light. This setup allows the photographer full control over the subject’s illumination. Tried Everything To Improve Your Photos?